Looking for the perfect destination for your spring break trip? Look no further than Pigeon Forge, TN in the gorgeous Smoky Mountains of Tennessee. The Smokies are increasingly popular with spring breakers because it's such an affordable destination with tons of incredible sights. Use this guide to jump start your Smoky Mountain adventure with the top 7 things to on your Spring Break in Pigeon Forge! After a brief off-season, Dollywood opens its gates by the 2nd or 3rd weekend of March, so if the timing is right, you can come visit Dollywood when it first opens! Not only does this mean you could be first in line to check out new rides and roller coasters, but Dollywood also starts its season with its annual Festival of Nations event that brings musicians and performers from across the globe. 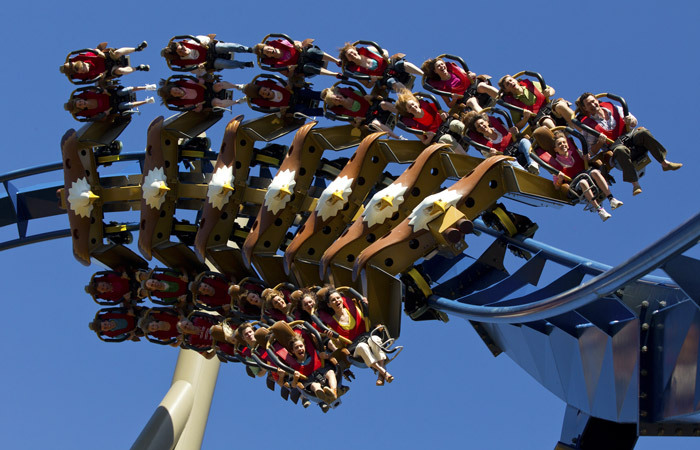 As an added perk, Dollywood is typically less crowded in the spring, so you can spend more time riding roller coasters without waiting in long lines. The famous Titanic Museum in Pigeon Forge boasts an incredible set of interactive displays and fascinating artifacts recovered from the infamous shipwreck. Better yet, there's a good chance that you can see a special festival here during your spring break. The Titanic was constructed in the shipyards of Belfast after all, so it's fitting that this Pigeon Forge attraction honors the Irish culture and history with story-tellers, tap dancing, and music. Visiting the Titanic Museum during Irish Month can add a nice educational component to your trip. Did you know that one of the biggest and best attractions in the Smokies doesn't have an entrance fee? We are of course speaking of the Great Smoky Mountains National Park, which boasts hundreds of miles of hiking trails and natural beauty. If the weather cooperates, going for a day hike is the perfect way to add some adventure to your spring break and to have an excellent experience. Springtime in the Smokies is an excellent time to find beautiful wildflowers. In particular, these areas of the park are hotbeds for finding spring flowers. Whether you're a thrill seeker or if you just enjoy spending time in the outdoors, the Smoky Mountains have lots of unique experiences to offer. Be sure to check out at least one of these adventures during your spring break trip! Pigeon Forge and Gatlinburg are home to several local distilleries and wineries that really give you an idea of the local flavor. If you're of legal age, you can responsibly enjoy samples at these distilleries for free or for a small fee. If you enjoy wine, be sure to check out the wineries along the Rocky Top Wine Trail. The Smoky Mountains also have authentic moonshine distilleries like the Ole Smoky Distillery and Sugarlands. As an added perk, the Ole Smoky Moonshine Barn at the Island in Pigeon Forge is a great place to catch live music and try free samples of a variety of moonshine flavors. For a night on the town, be sure to check out the local nightlife or see the nightly fountain and light show at the Island in Pigeon Forge. At the end of the day, spring break vacations are really about spending time with your family or friends and making memories you'll have for the rest of your life. So why not book a cabin to share with everyone? Not only is this an affordable way to accommodate your friends and family, but our cabins in Pigeon Forge also come with relaxing amenities like hot tubs, theater rooms, and game rooms. Best of all, you can reserve a cabin in a beautiful location that suits your needs. Whether you want a private cabin with an awesome mountain view or a resort cabin that's close to the region's top attractions, we'd be glad to help you find the perfect rental for your stay. When is Spring Break in Pigeon Forge? College Students usually come to Pigeon Forge for spring break during the 2nd and 3rd week of March. For family vacationers, school spring breaks run from March to April. To sweeten the deal, here are just a few of the reasons why you should visit Pigeon Forge for spring break. Why Visit Pigeon Forge for Spring Break? Less Crowded – Spring is a less crowded time to visit the Smokies, so it’s a perfect time to see lots of sights and attractions. Trying Something New – Many people take spring break trips to the beach or big cities, but you can try something unique: spending some time in the beautiful mountains of Tennessee. 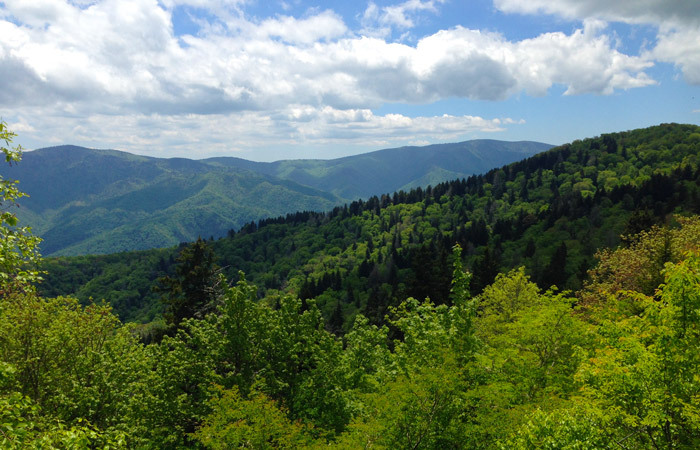 The Smokies are Close By – Rather than traveling to some far-off destination, you can make the easy a budget-friendly trip to the Smoky Mountains, which is within a day's drive of over half of the US population. Great Rates on Cabins – Since spring is typically a less crowded time of the year, it's easy to find great rates on lodging. Have you ever been to the Smoky Mountains in the Spring? We'd love to hear your thoughts! If you'd like to plan your own spring break vacation to Pigeon Forge, feel free to contact our reservations office at (865) 429-4121 or use our cabin finder tool to find the perfect cabin for your spring break trip to Pigeon Forge! Find Your Spring Break Cabin!